Earlier this month NVIDIA announced that slew of hardware partners will be launching GeForce RTX gaming laptops which will include the company’s newest Turing-based RTX graphics. 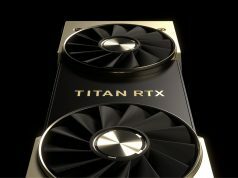 While the company has confirmed that all models with RTX 2060, 2070, and 2080 GPUs will technically have the GPU horsepower to run VR headsets, port confusion could trip up consumers who aren’t diligent about their purchase. 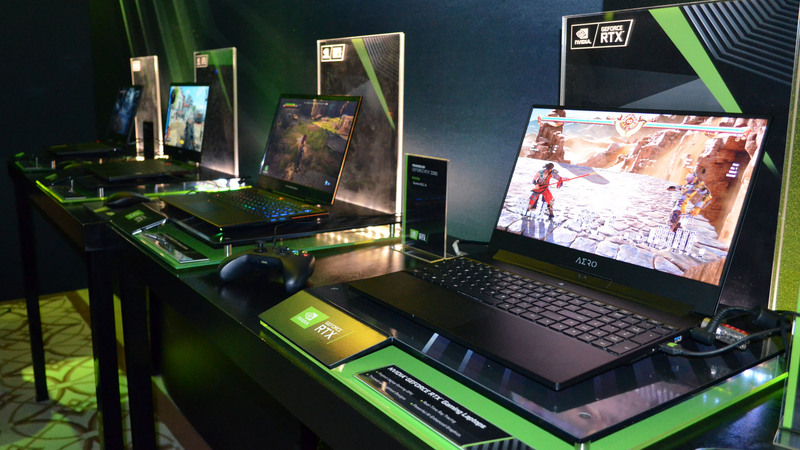 NVIDIA announced RTX gaming laptops at CES earlier this month, saying that some 40 laptop models from major OEMs will be launching on January 29th. As all of the laptops are equipped with RTX 2060, 2070, or 2080 mobile GPUs, NVIDIA says they’ll all meet the ‘VR Ready’ bar from a performance standpoint, but ports are a different matter. While the recently established VirtualLink standard is designed to simplify things by allowing future VR headsets to operate from a single USB-C port, it can’t just be any USB-C port—it specifically has to be connected to the GPU; a USB-C port coming off the motherboard won’t cut it. In NVIDIA’s latest RTX desktop graphics cards it’s easy to tell because the GPU is such a large component and you can directly see if the USB-C port is connected to the GPU or not. In a laptop, where the GPU is deeply embedded, it’s not clear if any number of USB-C ports on the computer are coming from the motherboard or the GPU. 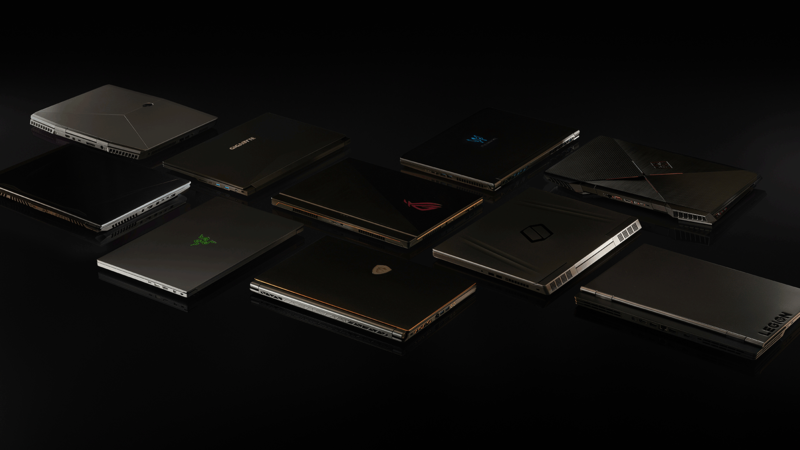 At CES we got to see 10 or so of the upcoming RTX gaming laptops, some which had USB-C ports and some which didn’t. But among those that did have one or more USB-C ports, nobody from NVIDIA presenting the laptops to us could tell us with certainty if those ports would support VirtualLink—again, because it’s unclear if those USB-C ports are routed to the GPU or not. That could very well lead to a situation where consumers see a USB-C port on an RTX-equipped laptop and assume they’ll work with VirtualLink when that might not actually be the case. Reaching out to both NVIDI and VirtualLink, we were told that there are plans to put a VirtualLink logo of some sort next to USB-C ports which can actually drive VR headsets with VirtualLink, but this is apparently optional for laptop OEMs, so there’s no telling how many will choose to include the logo. We didn’t spot the logo on any of the RTX laptops presented at CES, and it isn’t clear at this stage if any of the initial launch models will include the logo by the time they become available on January 29th. 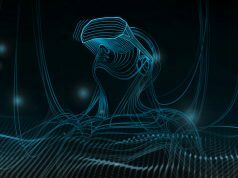 Of course VirtualLink only really matters for future headsets, but what about existing headsets? Most consumer VR headsets on the market today require an HDMI or DisplayPort port alongside USB 3.0 (and in the case of the Rift you need two additional USB 3.0 ports for sensors). So as long as the RTX laptop in question has the correct ports for a specific headset, there generally shouldn’t be any issues running the headset. Those with newer headsets however will need to be a little more careful about which ports are on their chosen laptop. While the original Vive can use DisplayPort or HDMI, the Vive Pro is only compatible with DisplayPort 1.2 and beyond, and will not work DisplayPort to HDMI adapters. It’s common to see Mini DisplayPort on laptops rather than full-sized DisplayPort; fortunately Vive Pro will work with a compatible DisplayPort to Mini DisplayPort adapter as long as the Mini DisplayPort port is 1.2 or above. Similarly, Pimax says their 5K Plus, 8K, and 5K BE headsets require DisplayPort 1.4 or above, and should work with compatible Mini DisplayPort adapters. However, both of these headsets have a slightly higher ‘recommended’ GPU (GTX 1070 or above for Vive Pro and Pimax “5K” Plus/BE, GTX 1080Ti or above for Pimax “8K”) than what’s typically considered ‘VR Ready’, and it isn’t clear if the mobile RTX 2060 GPU will meet that level; we’ve reached out to both companies to confirm. In summary: if you have a VR headset or are planning to get one in the future, look carefully at which ports are on board your chosen RTX Gaming Laptop; even though they’ve all got the power to be ‘VR Ready’, specific port configurations could trip you up. Hopefully laptop makers will begin clearly marking VirtualLink capable USB-C ports in order to simplify things going forward, but it’s unclear how many will choose to do so at this stage. You are upset with this! VirtualLink will take us forwards not backwards. The type of HMD’s that will necesiate VirtualLink will quite frankly need a lot more power than a modest RTX 2060. Does slightly higher resolution than we have right now (don’t expect jump from PSVR/Oculus/HTC to 8K suddenly in next gen HMDs) really would be too much for 2060? The only product i have seen using USB-C off GPU is Accell’s new headset extension box for Rift (can also be used on WMR). Though this doesn’t use VirtualLink standard, it provides powered USB 3.0 and HDMI 2.0 for contemporary headsets. Seems like inconsistent/self-contradictory reporting going on here. I disagree, I believe its very well written. Thank you to the author. Well-written articles don’t contradict their own title. I don’t understand the confusion. My PC is VR ready and doesn’t support VirtualLink. Those things are not the same thing. The headline could only be true if every GeForce RTX Laptop either has a DisplayPort or VirtualLink output. There’s no way the author could have checked every brand and model of laptop made that uses nVidia’s Turing chipset. 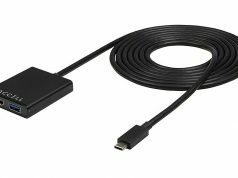 In fact I’ve already found some that just have an HDMI 2.0 port, which means it won’t work with headsets like Pimax that need more bandwidth than HDMI 2.0 can provide.